Setup Using the Google Home app, the light bulb takes less than a minute to set up. Functionality The bulb is dimmable, and routines can be set up with the Home app. Price At the current cost of ~$12.50 per bulb, this is price-competitive with other smart light bulbs. Resetting If you replace your Google Home, or need to reset the bulb for some other reason, the connection process is rather tedious. 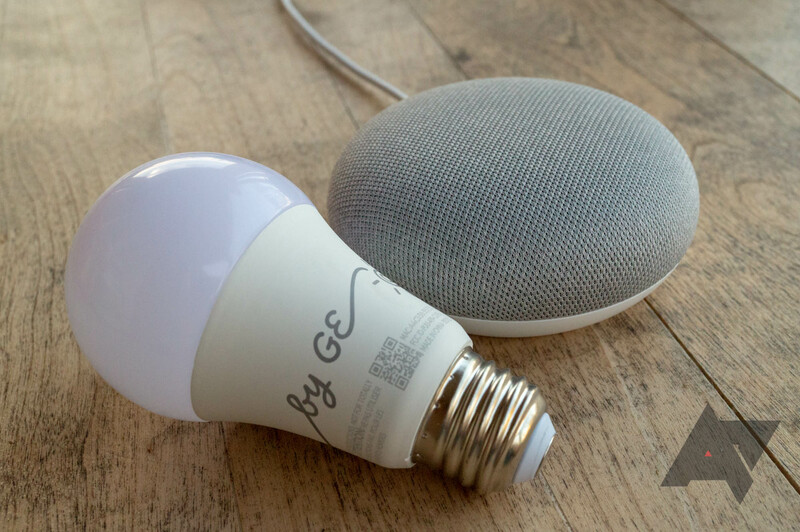 Compatibility GE's Bluetooth bulbs can only be paired to a Google Home or Google Home Mini. If you decide to switch to Alexa, or you want to use a third-party Assistant speaker instead, you'll need to buy GE's C-Reach bridge to keep using the smart bulb. For this review, GE sent us the $55 Smart Light Starter Kit, which contains one C-Life Smart Bulb and a Google Home Mini. There are no instructions or accessories for the bulb, except the four steps listed on the side of the box. If you don't need the speaker, you can also buy two bulbs for $25-30 from various retailers. There's not much to say about the bulb's design — it looks like every other A19 light. This one uses LED lighting, and has a warm tint (2700K). GE estimates it will last around 14 years and cost around $1.14/year, if you only use it three hours a day. Installation is as simple as screwing it into your favorite socket or lamp. This is one of the few smart home products that can be set up directly through the Google Home app — no other accounts or apps are necessary. Once you screw the bulb in, it should appear on the Discover tab of the Home app. If not, you can scan for it by going to the Home tab > Add > Set up device > Set up new devices in your home. Assuming you already have a Google Home speaker, the whole process takes around 30 seconds. Once that's over, the bulb appears alongside all your other smart devices in the Home app. You can assign it to a room, give it a name, add it to a custom routine, and change the brightness level. It can be controlled from a Google Home with commands like "turn the bedroom light off" or "set bedroom light brightness to 50%" (assuming the bulb's name is 'bedroom light'). It can also be controlled when you're away from home, using Google Assistant on your phone or the Google Home app. 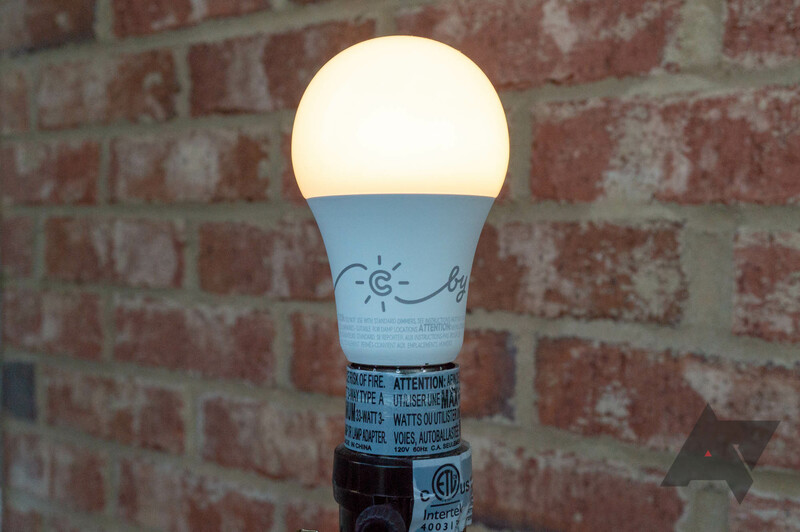 The C-Life Smart Bulb relies on a Bluetooth connection to your Google Home speaker, which has its own set of benefits and letdowns. The benefits include the Home app integration, not having to deal with a Wi-Fi connection, and the incredibly easy setup process. The first letdown is that you can only pair this bulb to a Google Home or Home Mini (I assume a Home Max works too, but I can't personally test that). It won't directly connect to a third-party Google Assistant speaker (I tried a JBL Link 10), an Alexa speaker, or even a Samsung SmartThings Hub. Keep in mind that as long as the Google Home the light is paired to is connected to Wi-Fi, you can control the bulb from any other Google Assistant device. 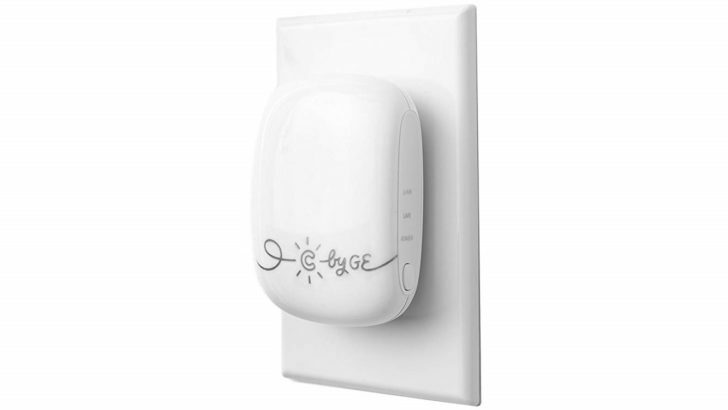 If you decide to switch smart speakers down the road, GE does sell an optional 'C-Reach' hub, which allows you to use the C-Life bulb (along with the company's other 'C by GE' products) with any Alexa/Google Assistant speaker. However, the accompying mobile app has terrible reviews on the Play Store, with many users citing connectivity and account issues. 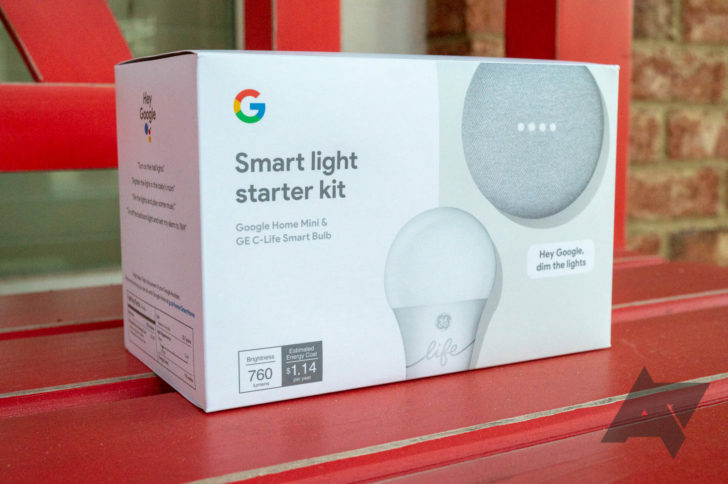 While not necessarily a letdown, if you only have one Google Home, you need to be aware of where you place it and how far away the smart bulb is. The Bluetooth connection between the light and your Google Home maxes out at around 60 feet, depending on wireless interference and how many walls/floors are in the way. If you have multiple Homes, the light will pair to the closest one when you're setting it up. If you have multiple C-Life Smart Bulbs, they can actually form a mesh network capable of re-routing commands to and from a Google Home. For example, if you have a Google Home in your basement, one light on your main floor, and one light in an upstairs bedroom, the main floor bulb should be able to act as a repeater for command signals. I was unable to test this, because GE only sent me one bulb. Probably. 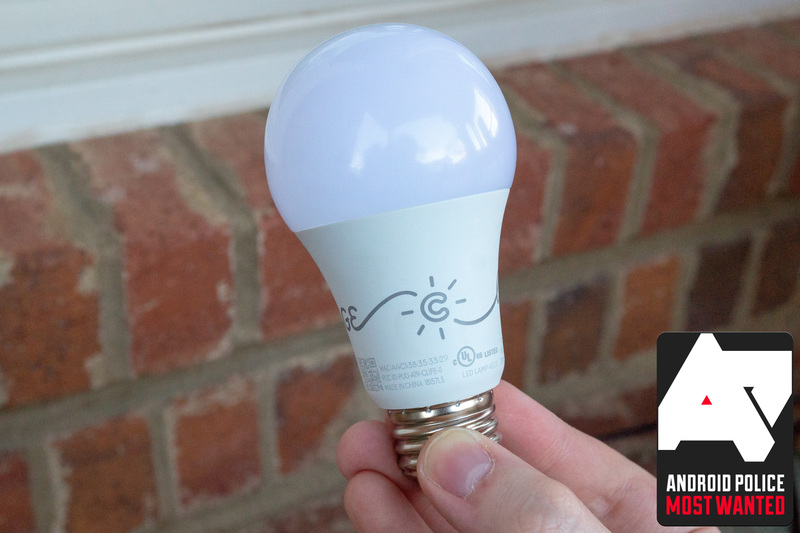 The C-Life Smart Bulb is super easy to set up and use, and if you only use Google Assistant speakers, you likely won't have a single complaint. You don't have to deal with more apps, hubs, and accounts, and it worked perfectly in my testing. It's the closest thing to a Google-made light bulb. If you don't want to use a Google Home or Home Mini, or if you think you might want Alexa speakers in the future, you should absolutely get something else. TP-Link sells an A19 dimmable bulb for $20 that connects to Wi-Fi, and it works with both Google Assistant and Alexa. Philips Hue lights are also very popular, but the requirement of a hub adds some complexity to the setup. In short, if you have a Google Home and you're happy with it, this is a great smart bulb. If you haven't dived into the smart home world yet, the $55 'Smart Light Starter Kit' with a Home Mini and light bulb is an easy way to get started. You only have Google Home speakers, or you're willing to buy one. You want a simple smart bulb. You use any Alexa speakers.